Wetsuit lining is the new frontier in performance as companies create innovative ways to insulate surfers. Previously the inside of your suit was just a nylon polyester stretchy material that was there to soften the stickiness and abrasion of raw neoprene rubber. In the last few years wetsuit makers started using textured interior linings for improved insulation. 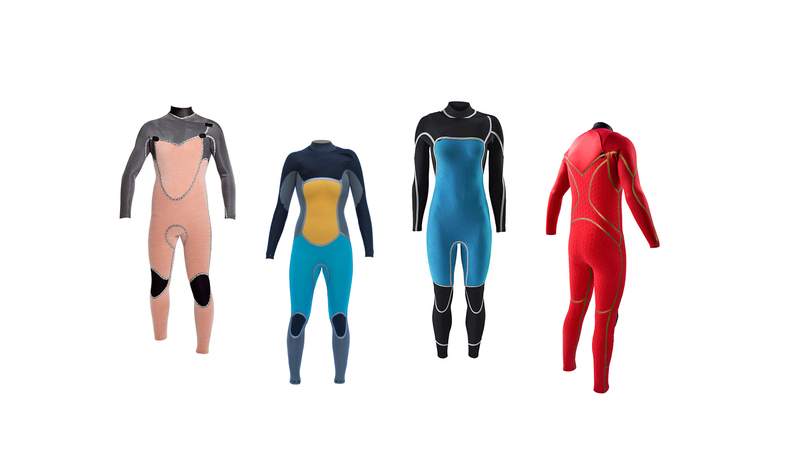 Go to a surf shop and check the wetsuit lining on any recent model, and you’ll find it feels more like a plushy toy than a high-tech sportskin. The new wetsuit linings work on the premise that the body heats air more easily than it does water. 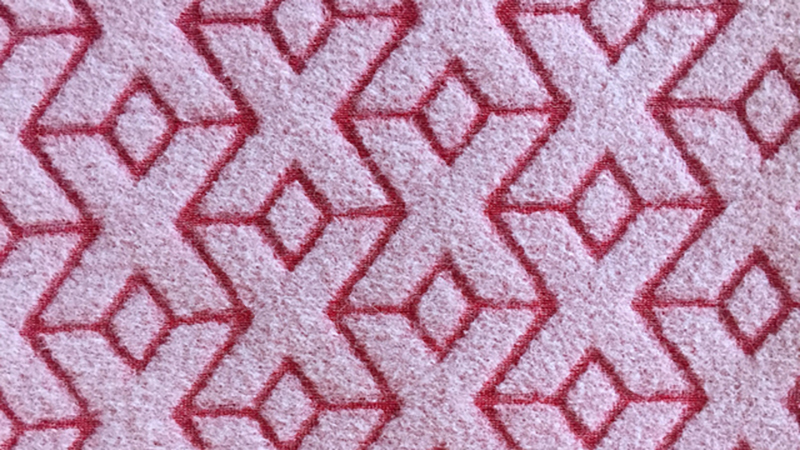 Today most makers put some type of ‘fluffy’ lining along the core areas of their suits. A basic understanding of wetsuit interiors is good to have as wave pools proliferate across the world. Some will require you to wear a wetsuit. Kelly’s famous debut of his pool showed a suited up Mr Slater surfing a cold, muck-brown pond. Subsequent clips revealed the pond was suitable for board shorts. A wetsuit is mandatory for year-round surfing at Surf Snowdonia in Northern Wales. while NLand, BSR Surf Ranch and Wavegarden all have their chilly days when some type of neoprene is necessary. Wetsuits linings work by trapping a thin layer of water against your body. Your body heats up that thin layer and keeps you warm. It’s good to keep the same water in your suit and next to your skin. A poorly designed or ill-fitting suit will allow frequent flushings and changes of this layer of water. Not only does this make you cold, but you will expend considerable amounts of energy heating the layer of water after each flush. Because a good wetsuit creates a cocoon of warmth, sheltering you from the elements, it’s best to only wear one layer. That is why one single so-so wetsuit will be warmer than two layers of great wetsuit. In the 1970s it was popular to wear a long john styled wettie with a beaver tail jacket over it in the winter. The suit thereby doubled its purpose: a jacket or long john for summer and the combined units for winter. But mostly the result was unnecessary bulk in places where one needs freedom of movement to paddle sufficiently. That all important thin layer of warmed water against your body had ample escape routes through the armpits of the long john. Each duck dive or wipeout was met with a cold flush of water. It’s odd, for the last few years wetsuits exteriors have taken a back seat to high-tech innovations in wetsuit lining as wetsuit makers (and the cold water surfing population in general) have discovered that your body heats air more efficiently than water. Understandable since that’s the part of the suit that presses up against your body during surfs and works to keep you warm. Have you ever noticed how you are colder when you are wet than when you are dry? So why don’t wetsuit linings stay completely dry? Some do. These are called dry suits and work well in extreme cold. It’s the favored suit design for coldwater diving. However, the flushing nature of surfing with its frequent tumbles makes dry wetsuit linings not a good option. On another note, you can’t pee in a dry suit – not a good option after a caffeinated presurf fill up at Starbucks. These materials used on the inside are growing increasingly innovative and creative. Rip Curl started it all half a dozen years ago with their fluffy flash-dry interior. Patagonia soon followed with Merino Wool which, while eco and innovative was a bit scratchy. Two companies are going a step further and using “smart fibres” in their wetsuit linings. 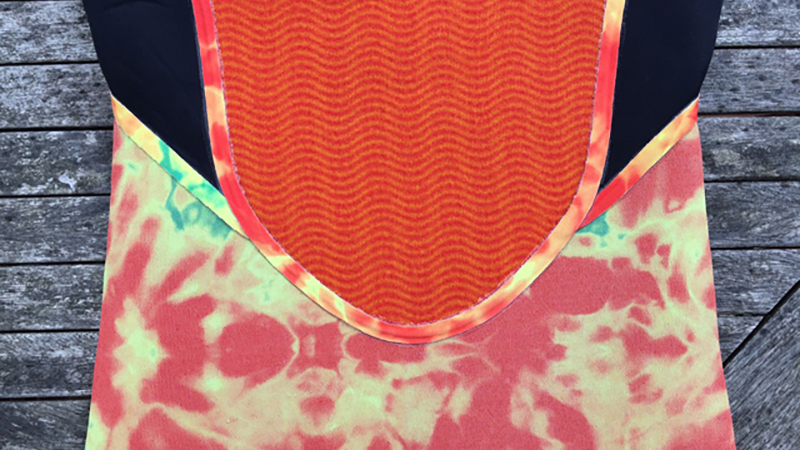 The XCEL Thermo Dry Celiant (TDC) thread is that tie-dye looking fabric one sees on the inside of XCEL suits. The interior lining of the Body Glove Red Cell is woven with infrared thread and makes similar claims of redirecting heat as well. 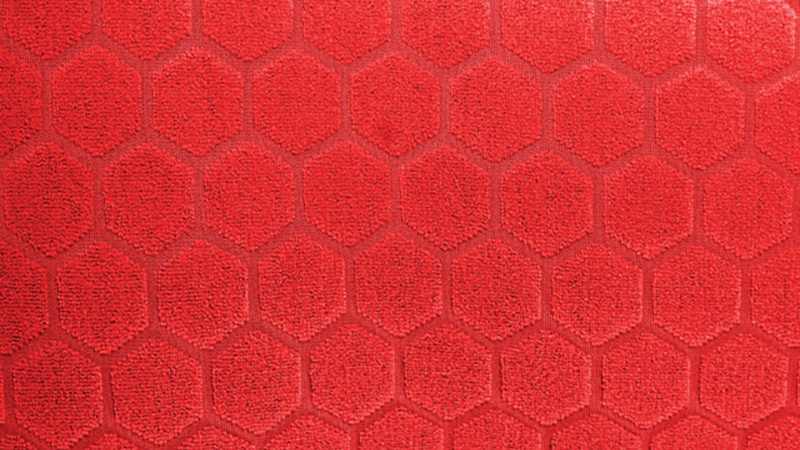 Design-wise the Red Cell lining employs a series of elevated hexagons along the interior. 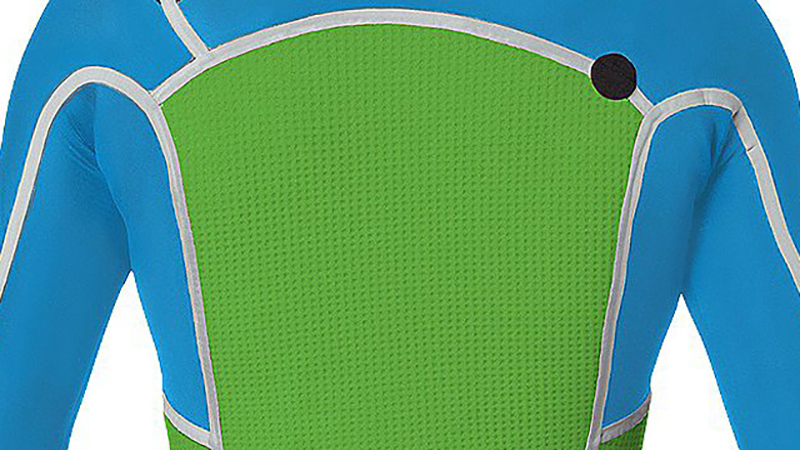 The Channels surrounding the hexagons facilitate enhanced breathability and help the suit dry faster by providing a channel for water to drain. While the claims of directing heat and energy back into your body are a bit dubious, these wetsuit linings are super popular and some of the brands’ top sellers. 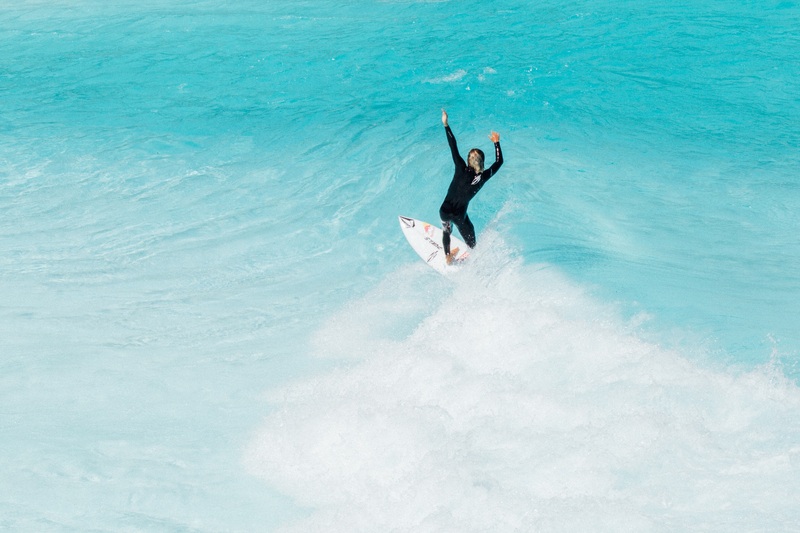 So, when considering which wetsuit lining will work best for you in whatever wave pool you are surfing, consider looking on the inside before you look at the outside of the suit. It’s what’s inside that matters most.